For the first time the US extracted more shale gas than Russia, the former leader in “blue gold” mining. Will this energy source satisfy the growing demand? Experts claim that increasing the share of shale gas helps reduce carbon emissions and thus fight climate change. Although NGOs reckon that this energy alternative is hardly to become an environmental panacea. American energy companies reports came out sensational – for the first time in these last years the US extracted more shale gas than Russia, the former leader in “blue gold” mining. There have been talks that finally a solution for the greatest issue of ever growing energy demand is there at hand. Experts claim that increasing the share of shale gas helps reduce carbon emissions and thus fight climate change. Although NGOs reckon that this energy alternative is hardly to become an environmental panacea. A new method of obtaining gas from shale was discovered a while ago. American energy suppliers claim to have found an effective way of applying horizontal drilling along with hydraulic impact by pumping in water, sand and certain chemicals. This helps collect the gas that envelopes layers of shale and avoid too much of costly drilling. A similar technology is used to extract coal bed methane. In the US gas extraction increased by 3.7% last year thanks to the know-how and now topped with 624 billion cubic meters. At the same time in Russia shale gas extraction is decreasing, having gone down by 12.4% and now constitutes a total of 582.3 billion cubic meters. The scoop of American energy reports is based on the fact that the country, unlike Norway and Qatar where only traditional gas extraction has been growing, managed to take this leap based only on shale gas which is still seen as an alternative source. The share of shale gas is now 40% of total gas extraction in the US, and by 2020 it is supposed to reach 60%. According to an IEA study, the extraction of non-traditional gas in Europe will reach 15 billion cubic meters per year by 2030. According to some of the most optimistic prognoses, gas extraction in Europe will not exceed 40 billion cubic meters by 2030. This is considered an underestimation by many. As the result of the so-called shale fever the US stopped buying liquefied gas from Qatar, and the import share in this sector of the US economy fell by 16%. Arab gas re-focused from the US to Europe thus disrupting international gas prices and Gazprom interests in this sphere. 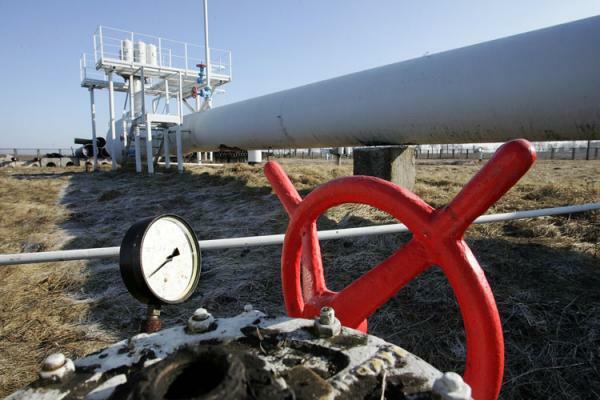 Now due to the overflow on the liquefied gas market and since European gas consumption has decreased by 44 billion cubic meters, Gazprom was forced to reduce its export by 11.4%. This situation puts a big question mark on the future of two huge pipelines (Nordstream and Southstream) since the demand for shale becomes a real threat to Russia’s economy. 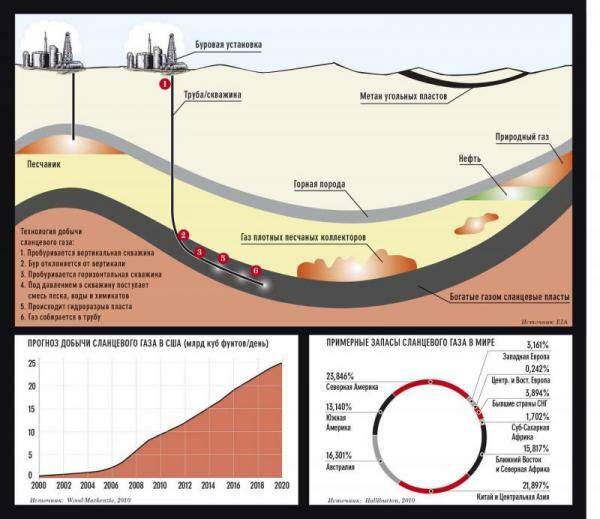 About a year ago the State Duma Energy Committee recommended that our Government conduct an assessment of Russia’s shale gas potential and to study possibilities and perspectives of implementing this technology in our country. The results have not been announced yet. But it is obvious that the world energy market is something very unstable and tends to fall for novelties. This said, Russia’s stance on oil and gas is a bit short-sighted. Shale oil extraction may be viewed as a cleaner energy source for the time being, but this is not the solution. Energy supplies have to be diversified, and there should be a focus on local renewable energy and on stepping away from all fossils – only that may help us reduce our environmental impact in the long run and fight climate change.